A new ABCmouse English Language Learning app for children ages 3–8 has officially launched in China, marking the first international expansion of the award-winning ABCmouse brand. 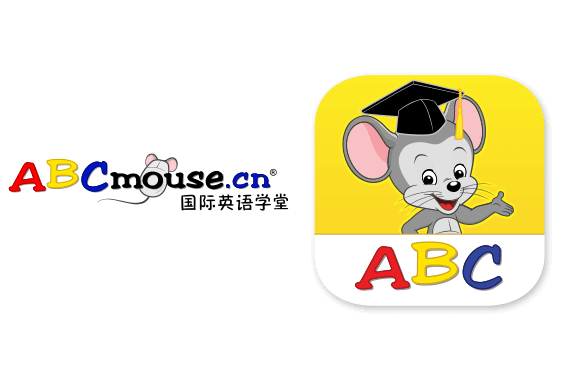 Serving millions of children in the U.S., ABCmouse is the leading and most comprehensive early education resource online. ABCmouse is regularly the No. 1 children’s learning iPad and iPhone app in both the Kids category and the Education category in Apple’s U.S. App Store. To date, children have completed more than one billion ABCmouse learning activities. Developed by language learning experts in collaboration with a highly talented creative team, the ABCmouse English Language Learning app features 25 thoughtfully and creatively designed English language learning lessons, and will ultimately include more than 150 lessons that help children learn to speak more than 1,000 English words and to understand more than 2,500 English words and phrases. The new app is now available to families in China exclusively in Apple’s China App Store for use on the iPhone, iPad, and iPod touch. The ABCmouse language learning curriculum team includes Professor Twila Tardif, a renowned scholar in language development and acquisition. Tardif is Professor of Psychology and Research Professor at the Center for Human Growth and Development and former Associate Dean at the University of Michigan. Professor Tardif, who earned her Ph.D. at Yale University, has been a primary investigator on a 15-year research project tracking language and literacy development in Chinese children, funded by the Chinese National Science Foundation, and her research on children’s early language learning has been funded by the U.S. National Science Foundation and the National Institute of Child Health and Human Development. The curriculum team also includes Dr. Zhou Jing, Professor of Preschool Education at East China Normal University. Dr. Zhou is a published scholar in children’s language development, language learning, and the teaching of languages, and is the recipient of numerous research grants during her 25-year career, including several from China’s Ministry of Education. Dr. Zhou has authored or co-authored 14 books, including the influential Language Teaching in Chinese Kindergartens, which is used by early learning teachers throughout China. The ABCmouse English Language Learning app provides a fundamentally new approach to learning English. Each lesson includes an engaging three-to-four-minute animated English learning episode that takes place in a fun and supportive classroom environment featuring a Chinese teacher, a native English-speaking teacher, and six young and eager Chinese students. The thoughtfully planned sequence of lessons systematically introduces important English words and phrases, and offers a one-on-one oral language practice activity and comprehension quiz at the end of each lesson. With its high-quality animation and encouraging learning environment, the app appeals to young Chinese children, who will want to watch the lessons and practice their English language skills by themselves and with their parents.